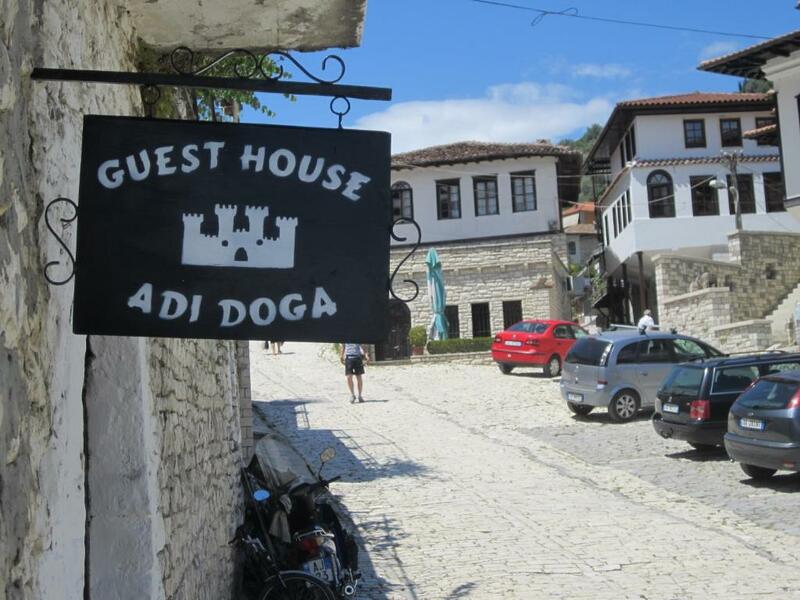 Lock in a great price for Guest House Adi Doga - rated 8.9 by recent guests. A welcome coffee to start always sets the tone. And breakfast is cafe quality. 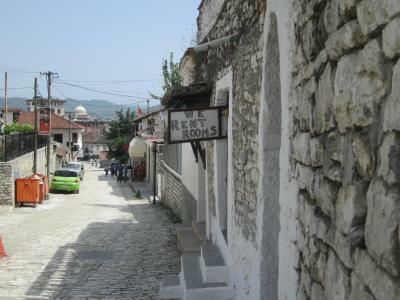 Really nice place to explore Berat as it’s close enough to everything. Felt the staff went out of their way to ensure we enjoyed ourselves. 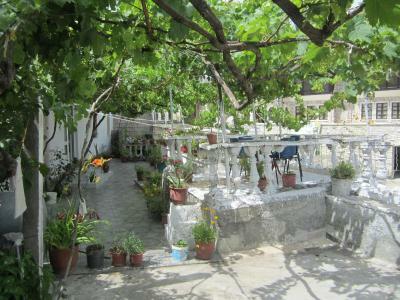 Extremely hospitable, suberb location, best breakfast of the Balkans! 10 out of 10. The owner was very kind and welcoming, and the breakfast was amazing. 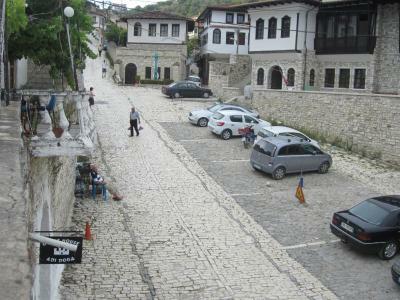 The location is great--right at the beginning of the cobblestone street leading up to the castle. 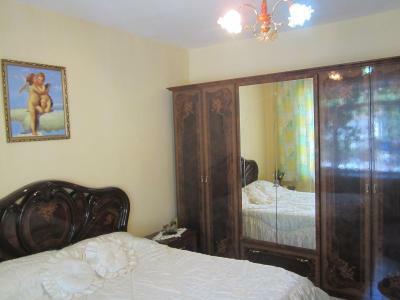 The location is great, near the river and the castle entrance. Our host was very welcoming and helpful and really trying to make us having a good time. We could park park our car in front of the house. Very friendly place on the central street leading up to the castle. I was very well looked after and felt very welcome. Great breakfast on the small terrace overlooking the bustling street. 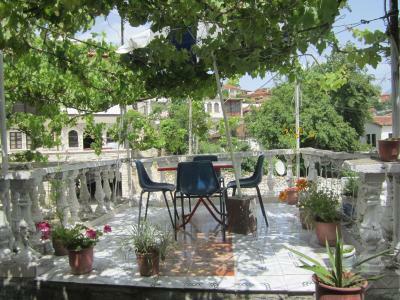 The hit of the apartment is the huge balcony which has a nice view on the old city of Berat. Besides, we very much liked that we were very welcomed with our two dogs - that made a huge difference for us. In general, the host family is extremly kind and trying to comfort the guests - we really did appreciate the kindness and the effort they made to make us feel at home and comfortable. Very lovely and thank you very much! 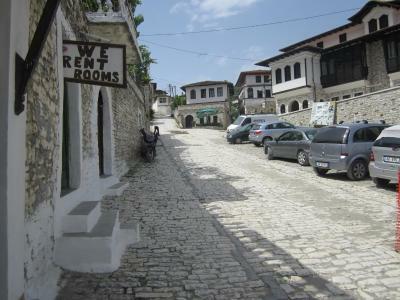 The location of the apartment is also very superb - directly in the old city center of Berat. Very beautiful! Good location near the castle. Friendly owner, nive balcony area. 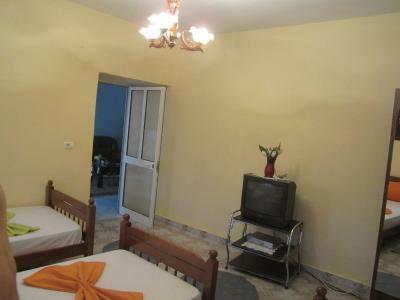 Location is really nice, close to antient city, close to everything. Very old house in the entrance of the old city. Parking free, close to gesthouse. Hosts are very kind. Simply, but very cosy. Great value for money. 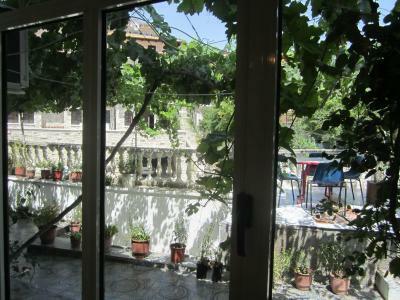 Breakfast on terrace under the grapes is amazing. For one day stop is very good.Cable TV , even russian chanels there. 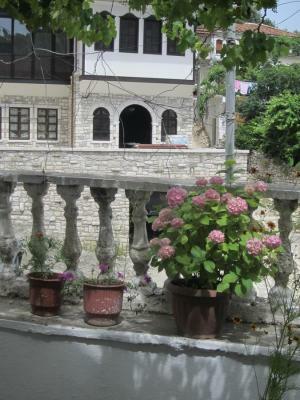 Situated in Berat, Guest House Adi Doga features accommodation with private terraces. Rooms have a balcony. 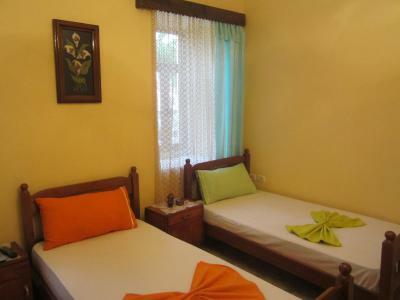 The units in the guest house are fitted with a TV with satellite channels. All rooms have a wardrobe. 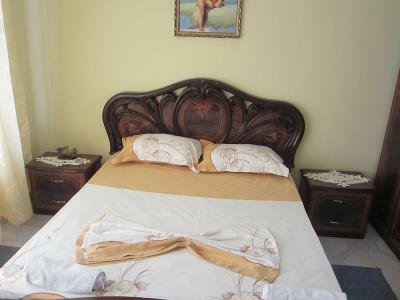 A continental breakfast is available each morning at Guest House Adi Doga. Tirana International Mother Teresa Airport is 73.3 miles away. Guest House Adi Doga has been welcoming Booking.com guests since 1 Jul 2015. 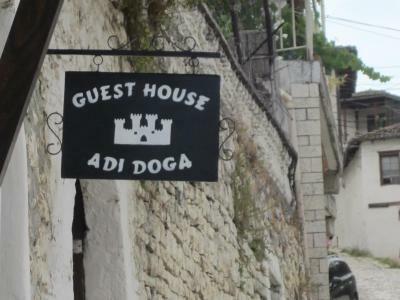 When would you like to stay at Guest House Adi Doga? House rules Guest House Adi Doga takes special requests - add in the next step! 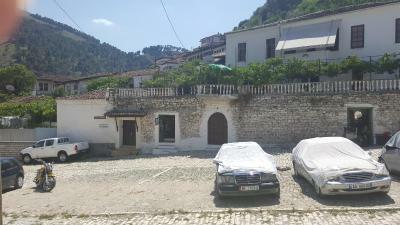 We were unlucky that currently the street in front of the accommodation is renovated and we could not reach the apartment with our car - however, this should be solved in a few weeks' time. 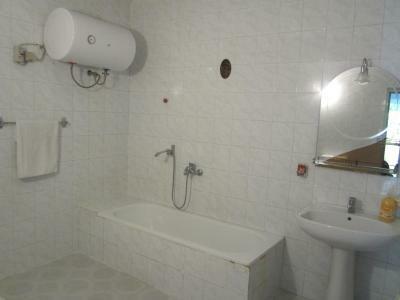 Otherwise, we would recommend a little kitchenette where you could also prepare a tea. The poor owner had to carry the entire breakfast from her private home to our apartment. We would further recommend to change the mattress - they are a bit uncomfortable. Extraordinarily amazing traditional breakfast from the owner. Room is a bit dingy but OK for a night.